28-36 Rodney St. Brooklyn, E. D.
The history of the Simpsons' North Brooklyn Iron Foundry is found on their foundry mark page. 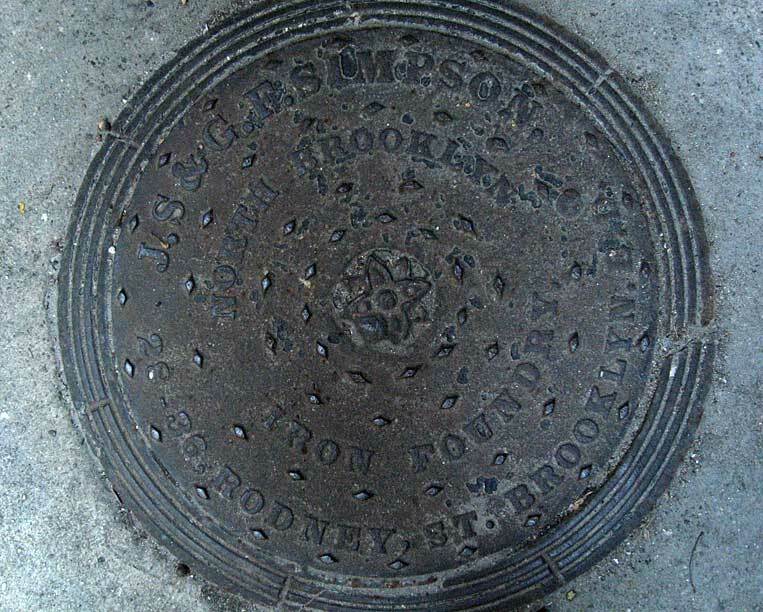 Another Simpson coal chute cover, identical to the one above, and in better condition, is found at 112 E. 95th St. Yet another with a slightly simpler form is found at 145 W. 126th St.